Question: Does the plan come with framing? Does it come with wall sections? 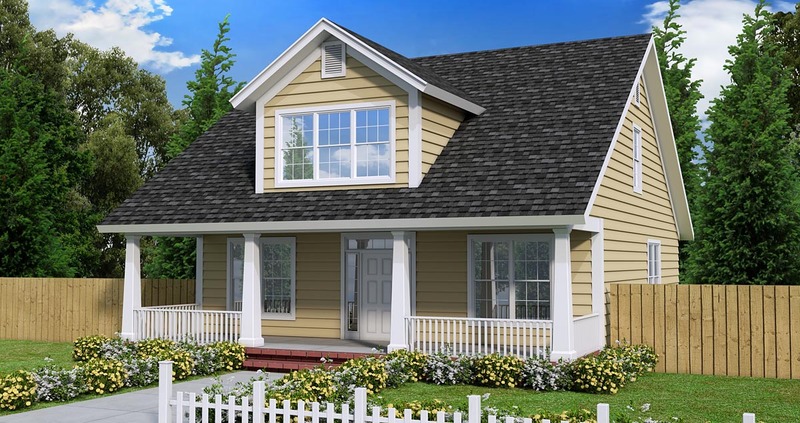 Answer: There is a a roof plan, floor framing direction of spans is found on the first floor plan. There is typical wall section, and a full building wall section can be sent extra if requested at no extra cost, typically only Canadian customers request the full section. Question: Would it be possible to build this house without the 3rd bathroom in bedroom #2 and maybe just make it the same as bedroom #3? Question: (1) How is the fireplace vented? I don't see a chimney in the pic. (2) Can this house be constructed with brick instead of siding? I just found out our covenants require brick. Many thanks. Answer: The plan has a gas ventless fireplace. For all questions about making changes to the existing plans, please call our modifications department at 800-482-0464 ex. 410. Question: Hi there, is there space to add a small bathroom in the attic off of Bedroom #3? I wasn't sure if the eaves are too low, etc. Thanks. Answer: Yes, there is room to match the same bathroom/closet as in Bedroom #2. Please contact our modifications department for the cost to make that change. Question: I noticed that the water heater is located under the stairs. What if I have a gas water heater? Where would it be located? 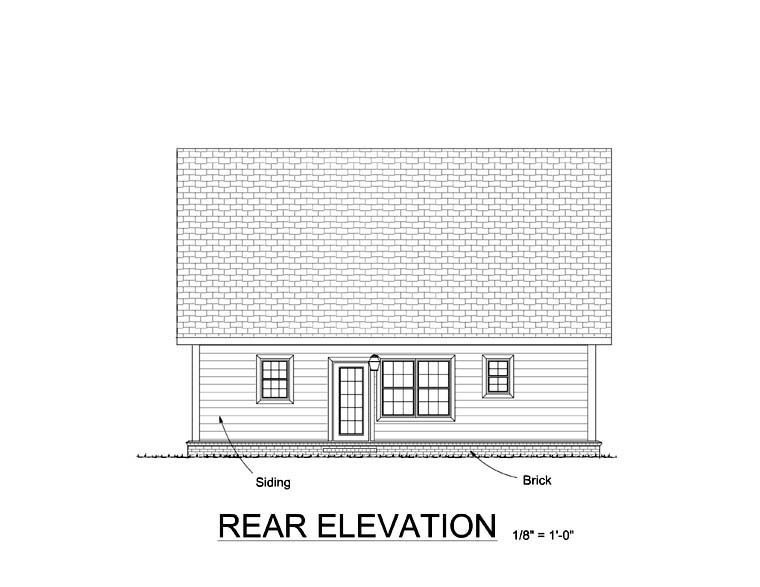 Question: If I build this plan, where would be the best place for a detached double garage? Do you have any plan recommendations? Answer: I would place it on the dining room side and have a door coming in from that side. Question: Question 1: Is is cheaper to do slab or crawl space? Question 2: Would it be feasible to create a man cave in the attic space? Or where would you suggest to locate it? Question 3: Do the plans come with plumbing schematics? Question: Thanks for getting right back with me. Do you have a cross section or anything that you can send to me that would show how the back wall of the walk-in closet and the bath can be 8' tall? Looking at the side and rear elevations it looks like the ceiling would have to begin to drop down within a couple feet behind the bedroom windows. Is this roof entirely raftered or is it possible to use any roof trusses? Answer: sorry, I don't have a section that shows it, it is far enough from the rear wall that it has allready atained the full height. Question: Hello, What does the initials a.c. stand for on the boxes in the attic? What's the ceiling clearance near the tub (back wall) in the bathroom near bedroom 2? Also, could you tell me what the wall heights are for both levels? Thank You! Click Here to download a free PDF Brouchure of Plan Number 61403.